The Dog Rose is the UK’s most common wild rose. It grows in most hedgerows, although less often found in the more northern reaches of Scotland. 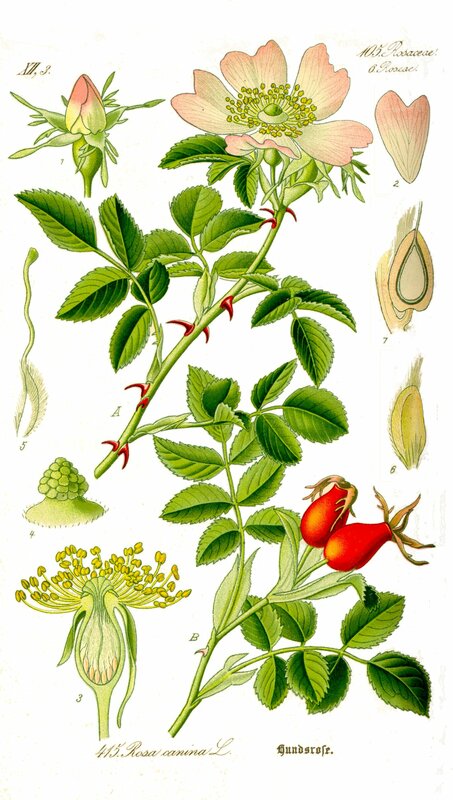 In summer it is noticeable from its delicate white/pink flowers, although in winter it is far more obvious as you can spot the bright red rose hips a mile off against a dark brown hedgerow. The flowers have very light-sweet flavour and almost velvety in texture. When collecting the flowers, only collect a few petals from the flower, not the whole flower itself, as this will prevent the hip developing, which you will want to come back for in winter. 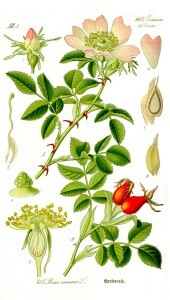 Rose petals are widely used in Indian and Middle Eastern cooking. For example one way is to lightly flavour syrups, then poach fruit in the juice. Lay out a sheet of grease proof paper. 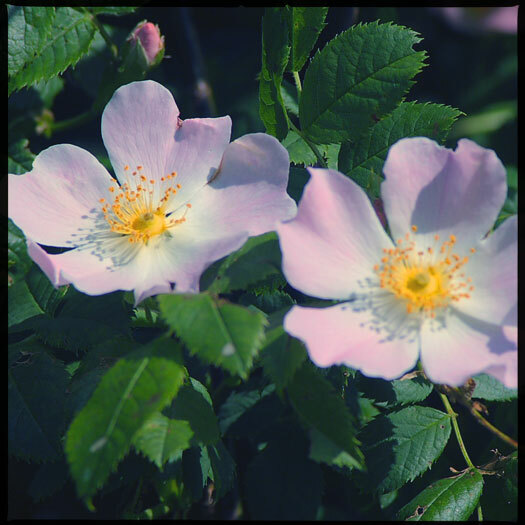 Lightly brush the dog rose petals with the beaten egg white and dip into the sugar. Then place on the paper to dry.